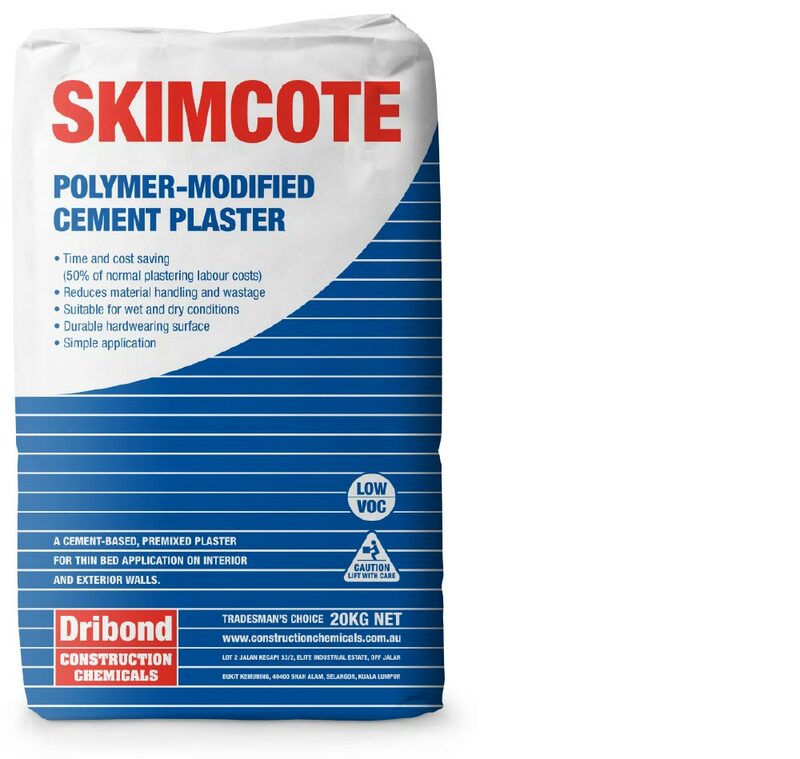 1.5kg/m² per coat (2 coats required). 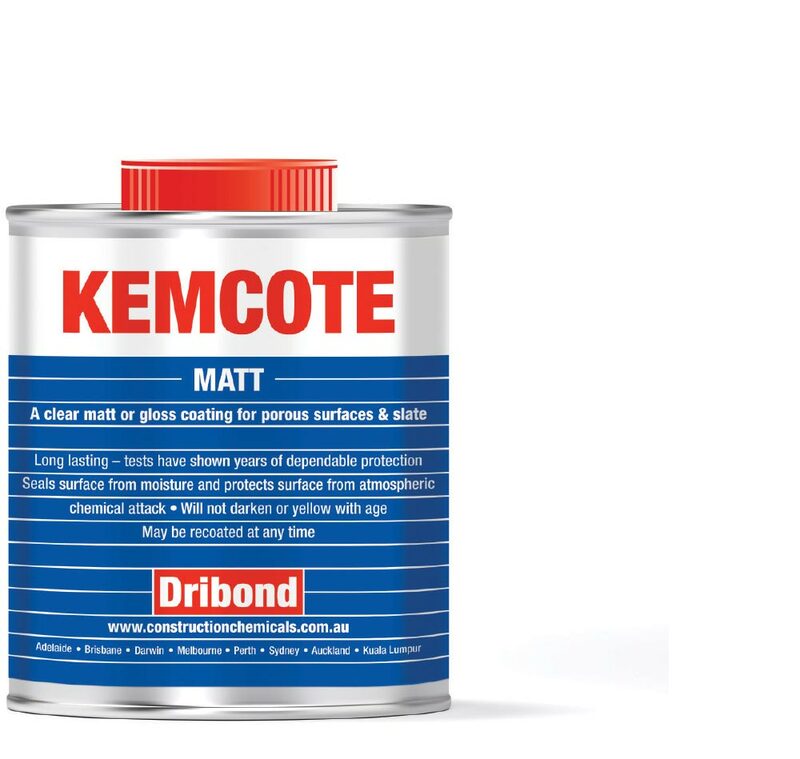 Apply in 2 coats with second coat at 90° to the first coat. 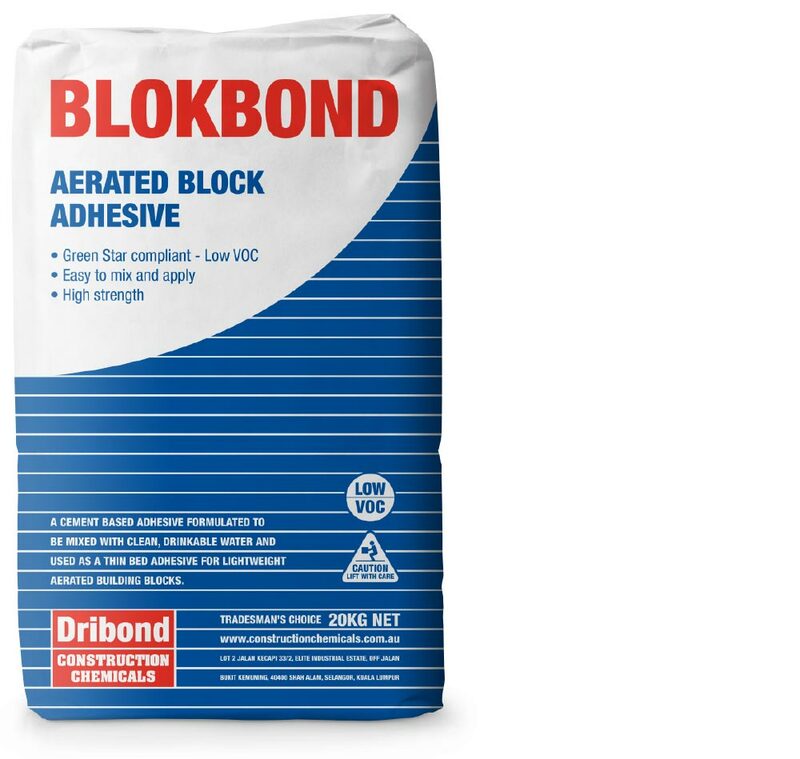 A clear, matt coating for porous surfaces & slate. 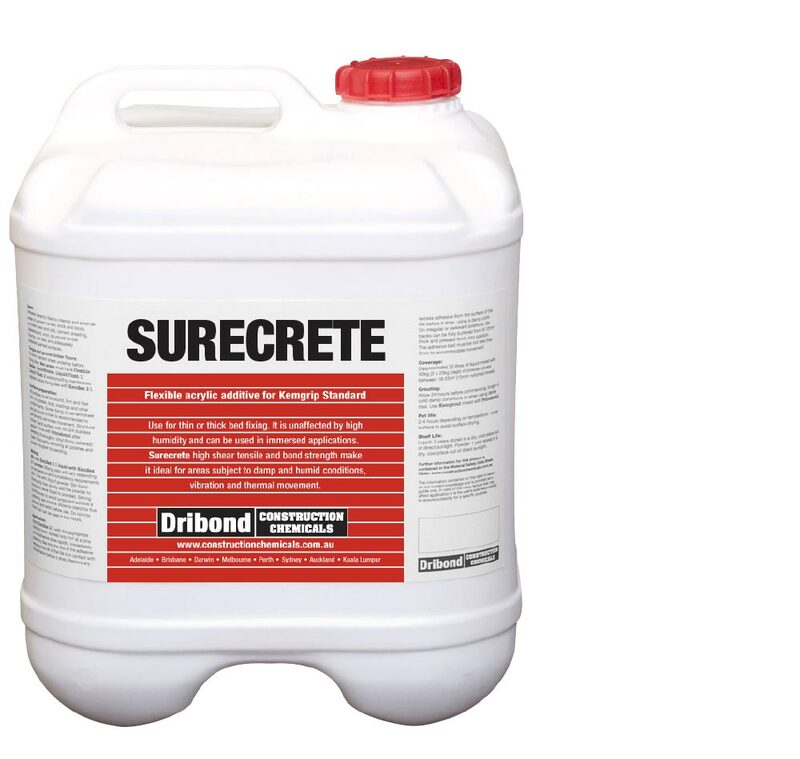 3-6m² per 20kg, depending on tile size and trowel notch size. 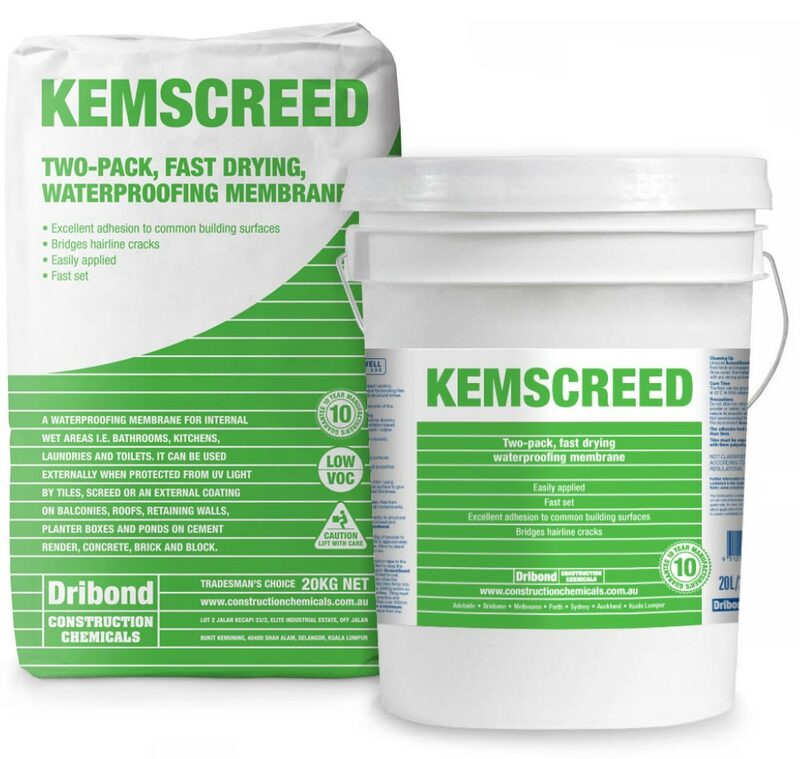 Two-pack, fast drying, waterproofing membrane. 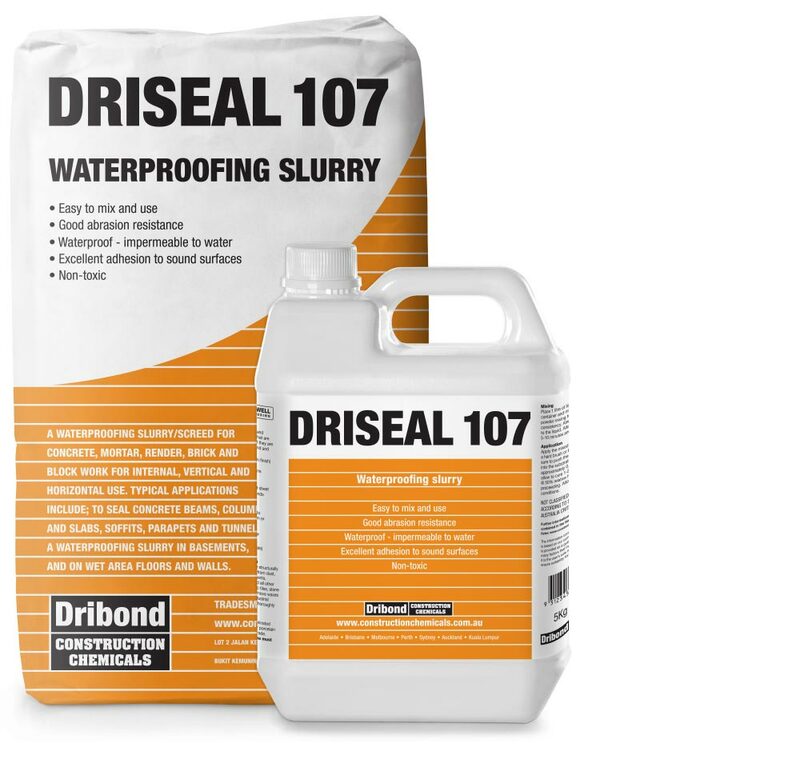 10L/20kg pack covers 10-12m² (2 coats) Apply a minimum of 2 coats at a minimum rate of 0.7mm thick/coat (1kg/m²). 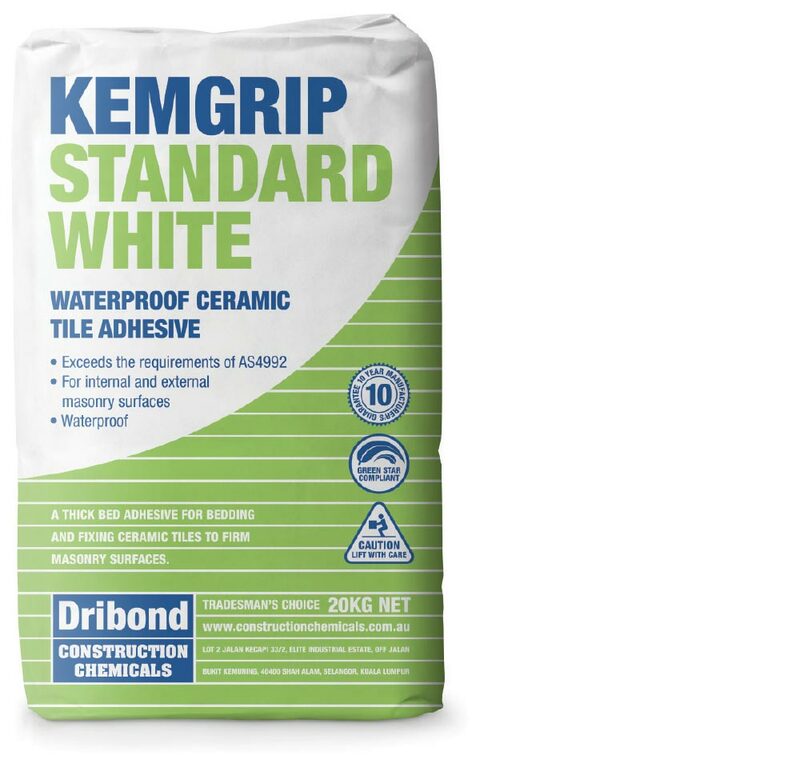 Flexible acrylic additive for Kemgrip Standard.